Advice Home > Therapy > What Is Trauma-Focused Cognitive Behavioral Therapy? In therapy, cognitive-behavioral therapy, or CBT, is used to treat many different mental health problems and help reverse different bad habits one may have. In this post, we will be looking at a special type of CBT, known as trauma-focused cognitive behavioral therapy, or TF-CBT. What is it? Who can it help? Let's find out. Before we learn what TF-CBT is, let's first look at CBT. CBT is a form of therapy designed to eliminate bad thoughts and habits and replace them with more productive ones. For example, if you're depressed, you may always have thoughts telling you-you're not good enough and that you deserve everything that's coming to you. CBT would help you throw away those thoughts and replace them with more positive ones. CBT also helps with habits. For example, your procrastinating may be affecting your stress. CBT would help by teaching you how you can procrastinate a whole lot less. Trauma-focused cognitive behavioral therapy, as the name implies helps treat a traumatic experience. It is designed for younger people, children, and teens, as well as their families. The goal is to help them all to get past an experience that is traumatic. It is based on evidence, and it's been seen to be quite effective towards someone who is experiencing different or single traumas. Those who can provide TF-CBT can help the younger crowd overcome their trauma before it develops into something much worse. TF-CBT was the product of different researchers, including Esther Deblinger, Judith Cohen, and Anthony Mannarino. They wanted to learn more about how traumatized children and teens faced the difficulties in their lives. This leads to the development of TF-CBT, and it combined traditional CBT with family therapy, taking an approach that was trauma-sensitive. As they researched, they tried five different trials, all controlled, and this helped show the effectiveness CBT can have. Since then, other researchers have studied TF-CBT as well and have found it to be quite effective for treating the younger crowd. With all that said, how does TF-CBT work? It's, as we mentioned before, for younger people who are suffering from the psychological effects of trauma. It uses CBT, but also family and humanistic therapies as well. The treatment is usually less than 16 sessions, and it's seen as quite effective. Over four out of five children who go through TF-CBT can improve. When trauma happens, it can be hard for everyone involved in it to be able to process their feelings about the situation. 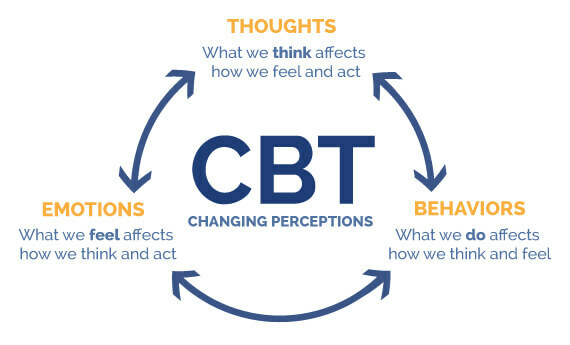 TF-CBT can help all parties be able to process the thoughts and get past the thoughts that can lead to PTSD, stress, depression, and other negative emotions. When one experiences trauma, they may mismanage their emotions. TF-CBT aims for people to be able to manage emotions in a way that is much healthier. To do this, they may go to an environment that is a safe place. This allows the children to express their emotions in a stable environment. Once they can, CBT and other therapies are given. The ones affected by the trauma can learn that trauma can distort one's perception and that there are different, healthier ways to cope when it comes to trauma and perception. TF-CBT is based on skills. To work, the family and the children need to practice the skills. This may involve assignments at home. In the end, the goal is to let the family be able to continue these skills in an environment that is safe and healthy. Some lessons TF-CBT can teach are techniques such as relaxation, trauma narrative, psychoeducation, conjoint sessions, future safety skills, and much more. For it to work, there needs to be a great relationship between all parties involved. Therapy can help all parties strengthen their relationships and learn their coping skills. The parent can help support the child this way as well. The counselor will give the family the tools needed to help the child be able to deal with their trauma. We mentioned before that TF-CBT could treat trauma, but what kind of trauma is it able to treat? 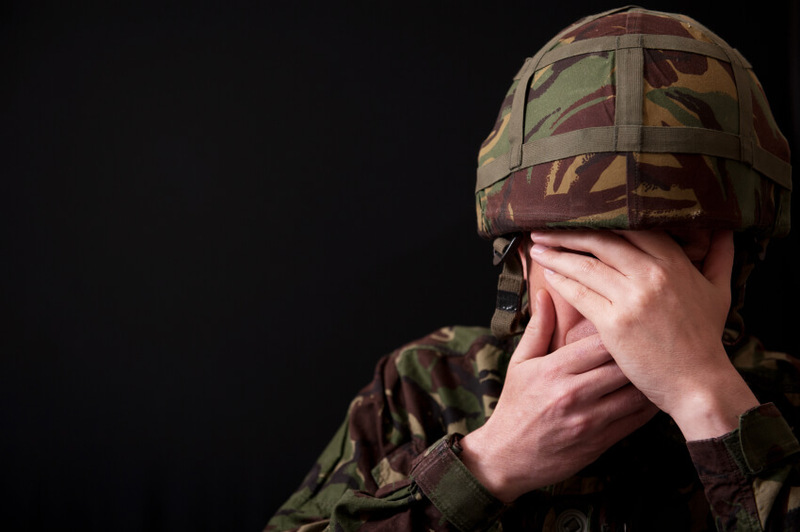 The main goal is to treat post-traumatic stress. When a child is physically, sexually, or experiences another type of abuse, they are going to have anxiety, depression, and other negative behaviors that are a result of the trauma. A counselor can help them eliminate the negative behaviors and be able to attempt to move on from the trauma. The age range for people who have TF-CBT ranges from as young as 3 to as old as 18. These children have been abused, and all levels of abuse can benefit from TF-CBT. If someone has had mild trauma, or severe, repeated trauma, they can be able to receive benefits. The parent will also participate unless they were the cause of the trauma. TF-CBT can also help children who are dealing with grief. TF-CBT can also help those who are in foster care or have been taken away from their parents. All in all, TF-CBT is great for all sorts of trauma. With that said, who exactly are the therapists who give out TF-CBT? These are qualified therapists who need to have child development training and can treat mental health conditions in children. A therapist must be trained if they want to practice in TF-CBT, and the people who receive training, and extra training is provided for those who want to be supervised. There are certified courses that are designed for TF-CBT. A practitioner needs to have a master's degree if they want to view the training course needed to get started. It begins with two days of live training, and then follow-up training. This consultation may continue once, twice, or every few months, and once they can complete the training, they can graduate. A practitioner must also completely different cases. They need to pass an exam as well to prove they know TF-CBT. One may wonder how effective TF-CBT is. IT's quite effective, and research has proved that young people who are experiencing the consequences of trauma can respond well. There have been 11 studies on TF-CBT, and they all have shown that it is quite useful for depression, PTSD, anxiety, and other side effects associated with trauma. The more sessions one has, the more effective it is. This is because TF-CBT is designed around the mind of a child or a teenager. They cope with trauma differently, and a counselor needs to get into the head of those who are dealing with the trauma to face it head-on. With that said, there are some limitations to TF-CBT. It may not be good for children who had conduct problems or other behavioral problems that occurred before the trauma. This may prevent them from being able to receive the benefits of TF-CBT, and they may need a different approach to treat their problems. If a teen is suicidal or is abusing drugs, they may not be able to benefit as well. Or, their symptoms may worsen in the beginning. It can still be quite effective, but the problem comes when a child or teen is in danger. If paced correctly, TF-CBT can still be effective, but there may need to be another approach beforehand. Dialectical behavior therapy may be used. If a teen has self-harm or issues with running away, there may be benefits, and it can help them stop with those negative behaviors. As you can see, TF-CBT is quite effective for children and teens who have trauma issues. It can be difficult for a child to deal with their trauma. Trauma can be a difficult beast to overcome at any age, but when you're young, it can seem overwhelming, and you may not be able to understand your emotions fully. That's where TF-CBT comes in. It can help to identify any problematic emotions you and your child may have, and then help modify it into something more effective. The best tool is also the family aspect of TF-CBT. A family can work together to solve their problems, and this can help the child learn to cope with the trauma. While someone can never "Get over" their trauma, therapy can help manage it much better. Therapy is also good for other reasons as well. If the child has a dream or an aspiration, a therapist can work with them to create a goal. A counselor can help them with school, planning for the future, or help with any other problem they may have. There is no shame in speaking to one if you have a problem. It just proves that you are willing to admit you have a problem and you want to work on it. Speak to someone today.